Tried to get an arty picture but it was too cold to get everything perfect! Sorry! But here are two beauty products I am loving this week. The first is a glittery nail varnish by Models Own which I have used like crazy over the christmas new years period and whenever I need a little sparkle! It goes on really easy, looks best with two thin coats and is a nightmare to get off but don't let that put you off it is totally worth it. 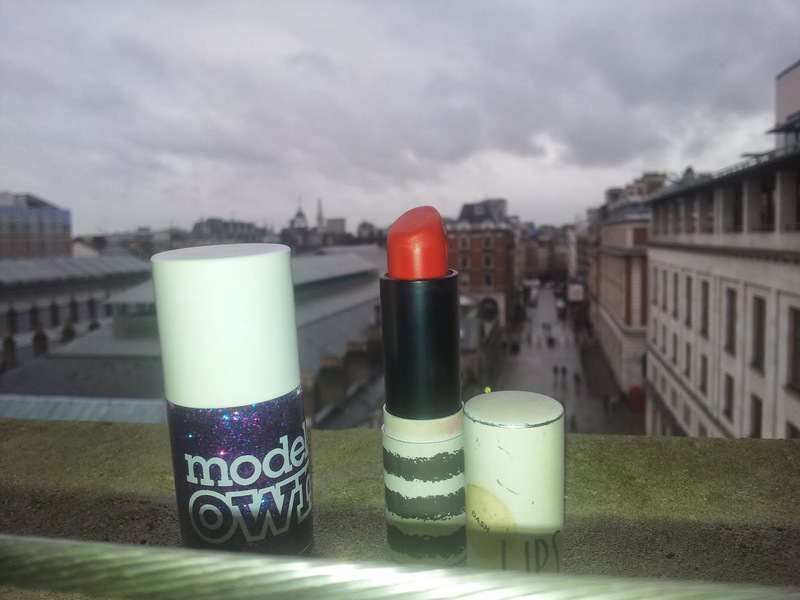 The second is a Topshop Lipstick in Rio Rio again this is one I pull out for occasions (last Friday!) it goes on really easy, smells good and doesn't dry my lips out which a lot of lipsticks do. I haven't found a way to make it last a whole night so if anyone has any fool proof tips please let me know!